Home Marketing Booking via VR? Amadeus, one of the big Global-Distribution-Systems (GDS), tries to look deep into the future. 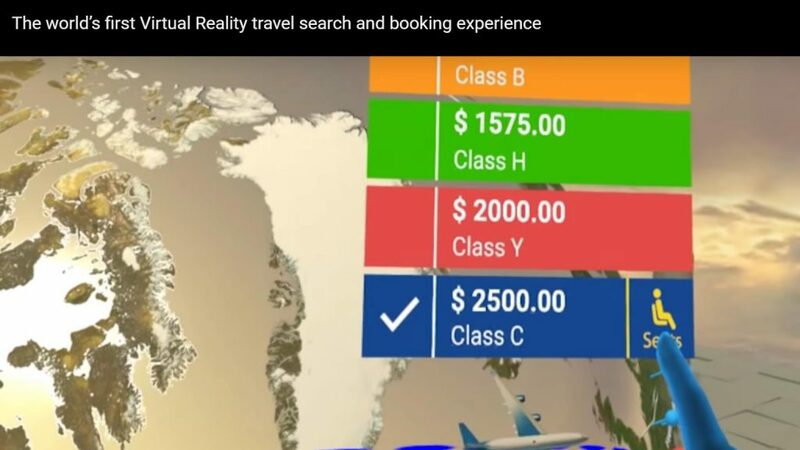 It’s subsidary company Navitaire introduced the first “Virtual Reality Search and Booking Experience”. The user interacts with VR-glasses and special gloves and selects the desired destination on a virtual globe. Users can search for flights, car-rentals etc. and book directly via credit card. The solution is currently patent-pending.